The cultural, scientific and natural heritage of southern Africa constitutes an integral part of the history of this region. A vitally important part of the natural heritage of southern Africa is its outstanding geological heritage, which comprises great geological diversity and spectacular landscapes. Many of our geological superlatives record important evolutionary processes that have occurred on our planet. The term ‘geoheritage’ originated in Europe, where places and sites of geological importance are recognized and preserved as outstanding natural sites. These sites may be localities where research resulted in fundamental breakthroughs in the understanding of the Earth, its life forms and its history or include unique geological features. Examples in In southern Africa include ‘The Cradle of Creation’ with some of the world’s oldest rocks and primitive life forms preserved in the 3.5 billion year old sediments of the Barberton Mountain Land, the Cradle of Humankind and other palaeoanthropological sites, such as some of the oldest recorded sites where primitive mining had taken place. Geoheritage includes South Africa’s iconic (and sometimes unique) landscapes, its mining history, and its record of scientific discovery in the earth sciences. Continental Drift, now unified within the theory plate tectonics, was first proposed by a world famous South African geologist, Alex du Toit, long before it was accepted as fact by the rest of the world. The role of important geological sites and rock and mineral collections in education at the professional level. 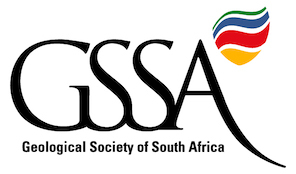 One of the roles of the GSSA Geoheritage portfolio is (together with organisations including organisations such as the Council for Geoscience and SAHRA, the South African Heritage Resource agency, is to identify special and unique geological features and to serve as South Africa’s knowledge repository for all aspects of geoheritage. In addition, the GSSA intends to inform and influence regulatory decisions concerning issues of geoheritage, to assist in the execution of high priority geoheritage projects, and to provide public education and outreach on geoheritage matters. Geoheritage should unquestionably be a cornerstone of any National Heritage Strategy, given the economic and scientific importance of South African geology, and its impact on South Africa’s collective culture and economy.